I spent some time looking at various projects on this forum - great stuff! Now I'd like to join in and share some information about GTR road race project. First of all please forgive me for my broken English – I will try to do my best but it may not be good enough anyway. I’m coming from professional motorsport (worked with GTs, LMPs, Formula 3, GP2, touring cars etc.) where my main areas was chassis and suspension design, aerodynamics design, data analyses/setup work using simulation tools, on track engineering work (setup etc). 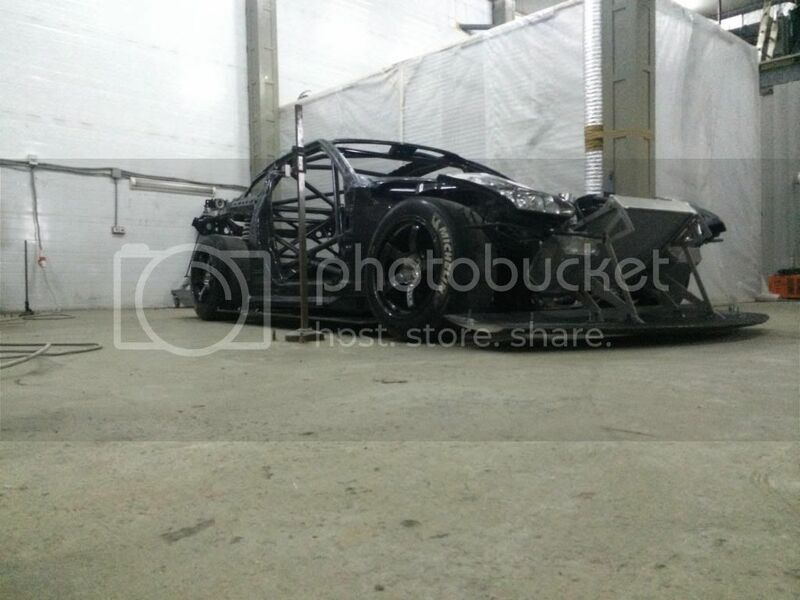 Most of the time we where fabricating most of the stuff in house - suspension, composites etc. One day I became a bit tired (or better say my Wife did) of hectic schedule and too much politics involved in professional racing and I decided to open my own shop providing engineering expertise to pro teams and manufacturers but also oriented towards track enthusiasts – non professional racers. Target is to bring professional motorsport technologies and practices to enthusiast community. 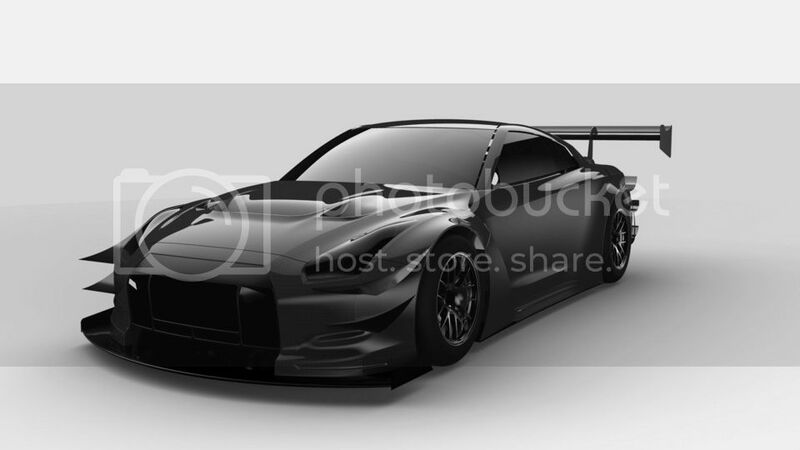 My partner is GTR35 enthusiast and raced his car occasionally so we decided that we should build a full blown race car which would be used as development vehicle, showcase what we can do and give us tons of fun when we race it. The way we build it now – we decided to call it NGT-R35 (N referring to group N ) because for now we keep standard engine and gearbox as a base. 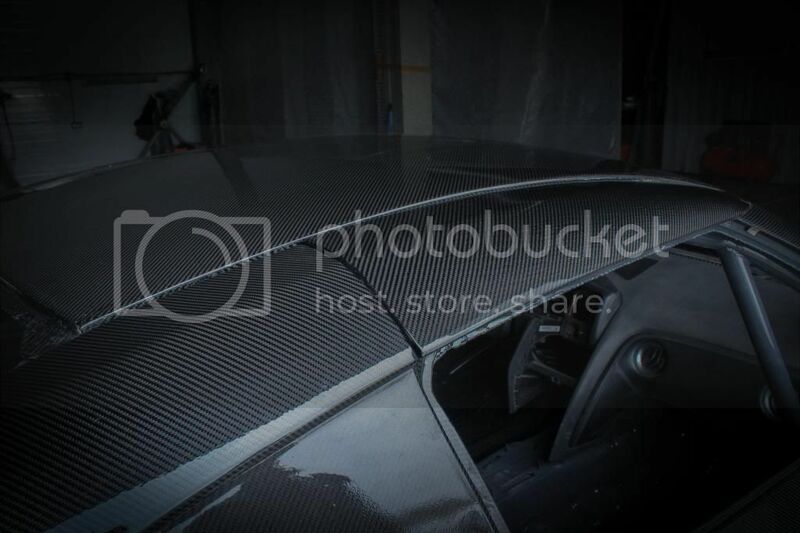 Project started at the end of September 2012 and about a couple of weeks ago we trial fitted carbon fiber bodywork. In order to adjust the gaps etc. Before we started to do that I could not resist to take some pictures. 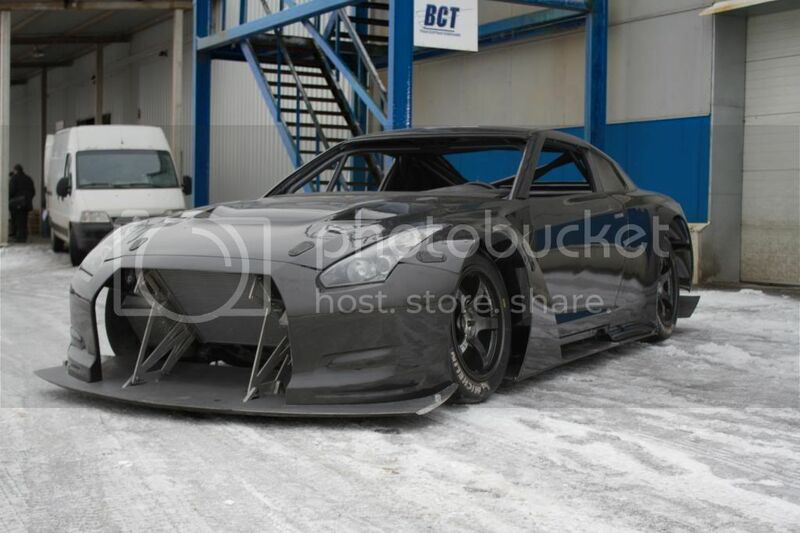 Please, keep in mind that this is not finished product – many parts are missing (but coming along nicely) like: two element high downforce rear wing (with measured Cl/Cd performance), grill and front ducting (ducts from bumper to radiator, intercoolers, brakes and from radiator/intercoolers to engine hood), side seals, mirros, etc. Car is standing on narrow 28/71-28 michelins on 11” wheels while it is designed for 31/71-18 (same size as nismo/jrm used in FIA GT1 and now GT3 programm) on 13” wheels. So it looks funny and wrong but tires should be here fairly soon. 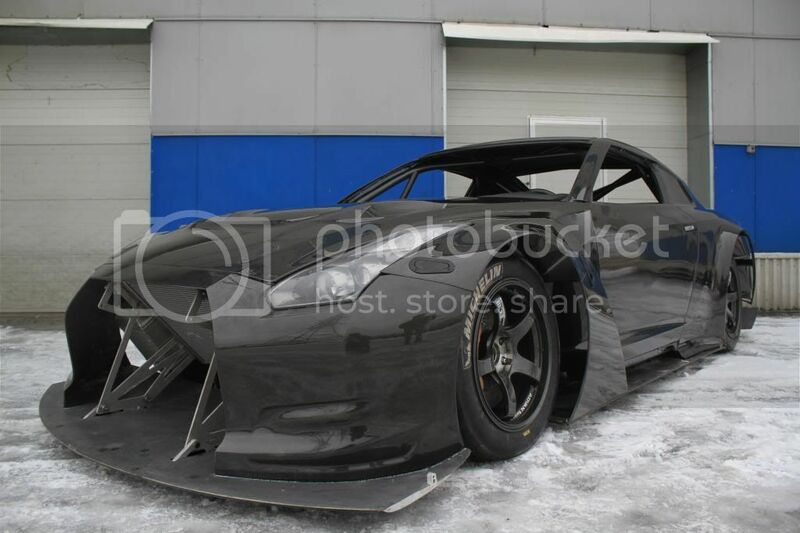 Parts between rear bumper corners are missing and rear diffuser would be trimmed to it’s final shape. 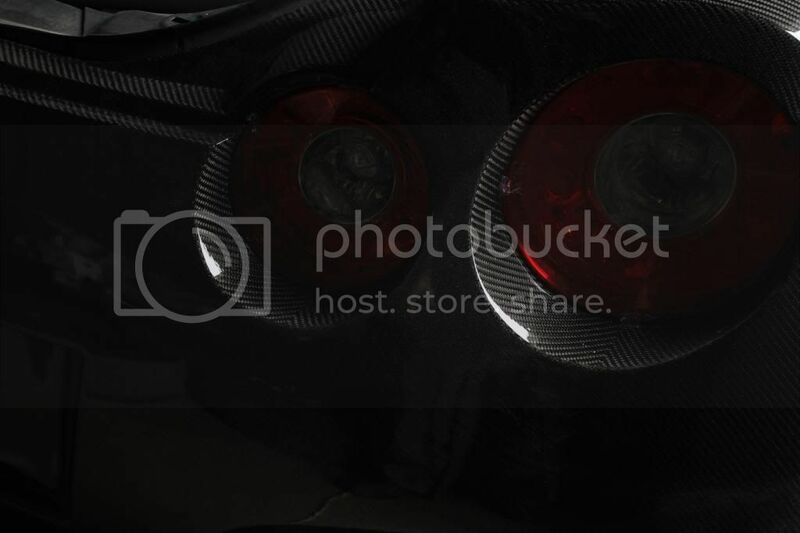 It (diffuser) is also missing vertical strakes and vortex generators. I love the last pic it shows the arches well. 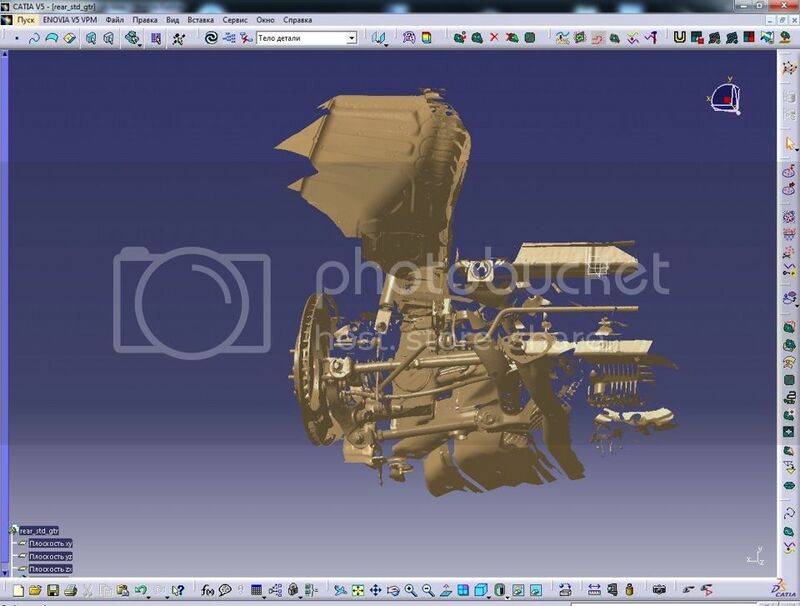 Last edited by GTRNICK; 27th December 2013 at 09:04 PM..
Project started mid September 2012. At the beginning of every project I always like to have as much input as possible - learn everything I can about the base that I have to start from, establish constraints (tech. regulations, budget etc.) and set the targets. 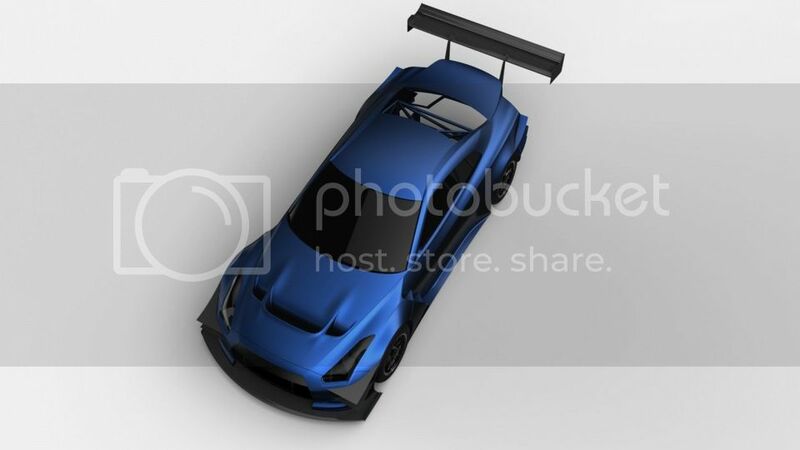 So I collected all the info that I could find about existing racing versions of gtr35 – paying closest attention to factory FIA GT1 and GT3 program but also to private projects like two cars build for WTAC in Australia. Some things I liked, some things not (this is not to downplay someone’s efforts – because every single car can be made better but also every car was born in particular set of constraints and circumstances that largely influence end result) but there was a clearer picture what is possible/not possible with this car. 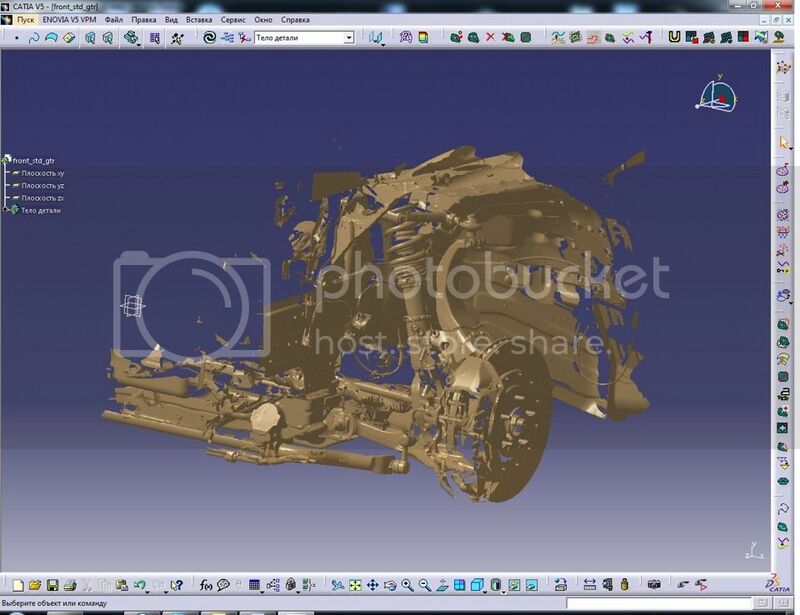 From suspension 3D scan data one can locate its coordinates (every mounting/rotating point). After having it done one could create a model which in turn will allow to analyze suspension characteristics/behavior especially at drastically lower than standard ride heights suitable for race car. Also I always like to run the car through some simulation process: There you have a mathematical model of your car – suspension, chassis, aero maps, tire maps etc., etc. One can start with relatively low fidelity and add complexity to the model step by step and this will allow for better understanding of separate system impact on overall performance and most importantly how they interact with each other. Than one would drive this simulation by logged data (what people usually call telemetry data) from some track of interest – for example applying data from g-sensors as it was recorded on track. It will allow to learn myriad of things – how springs/bars with their particular motion ratios influence your chassis balance, how suspension geometry and its “anti” characteristics impact individual tire loadings (which ultimately decide chassis balance) on every single point on the track. Again there’s myriad of things lo look at and to learn about but I just caught myself getting to long winded (again ). 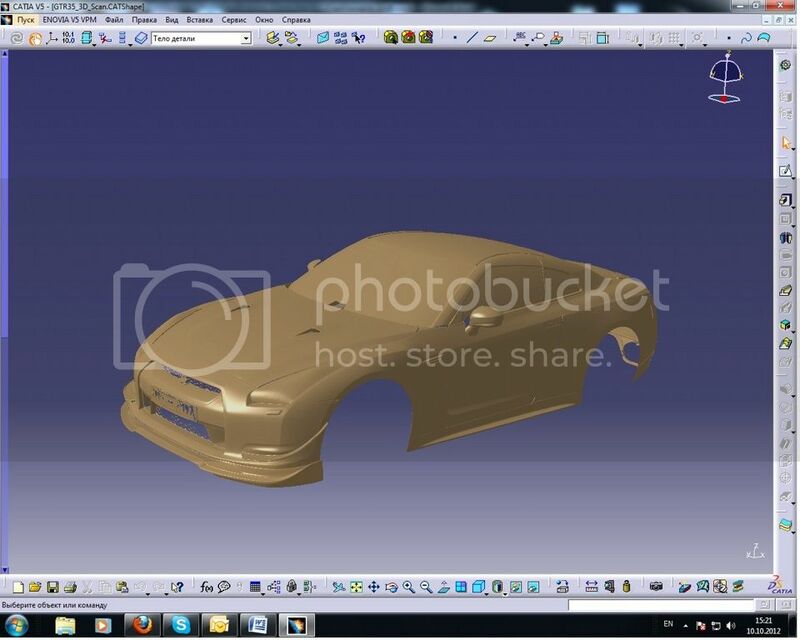 Exterior 3D scan data would obviously allow to design body work panels and aero package and work started on creating CAD surface model of bodywork and here’s what we came up with. 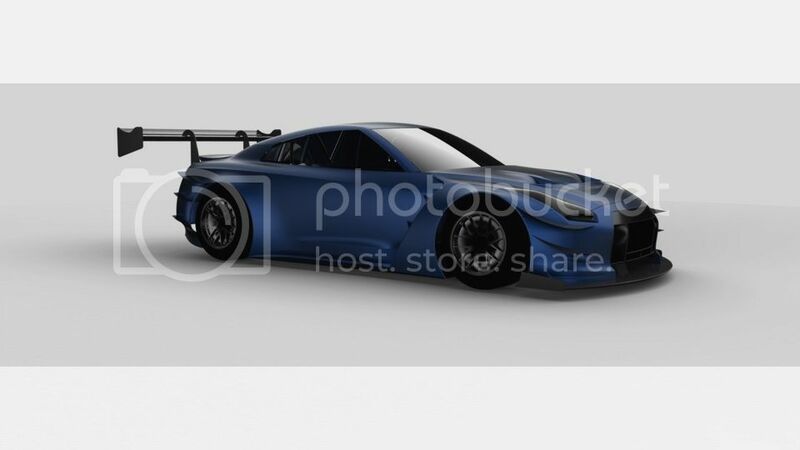 It's obvious that we didn't invent anything new - it's very much similar to factory GT1, GT3 cars (to be expected because we where going to use same tires as they did). 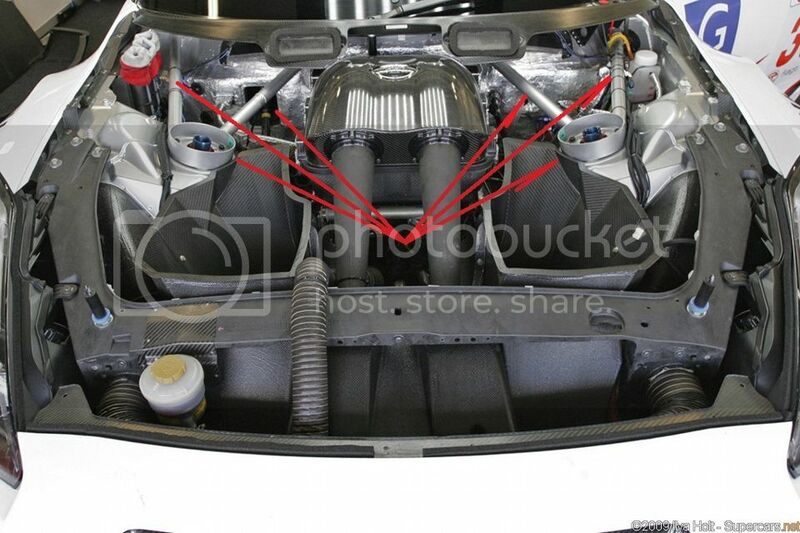 GT1 and GT3 engine hoods are different mainly because first was running NA V8 (based on VK56DE) and another is using standard FI V6. Aero package is in many ways different because we didn't have tech. regulation constraints that they did. As a result it's more inclined towards Super GT way of doing things because SGT regulations give much more freedom than FIA series do. 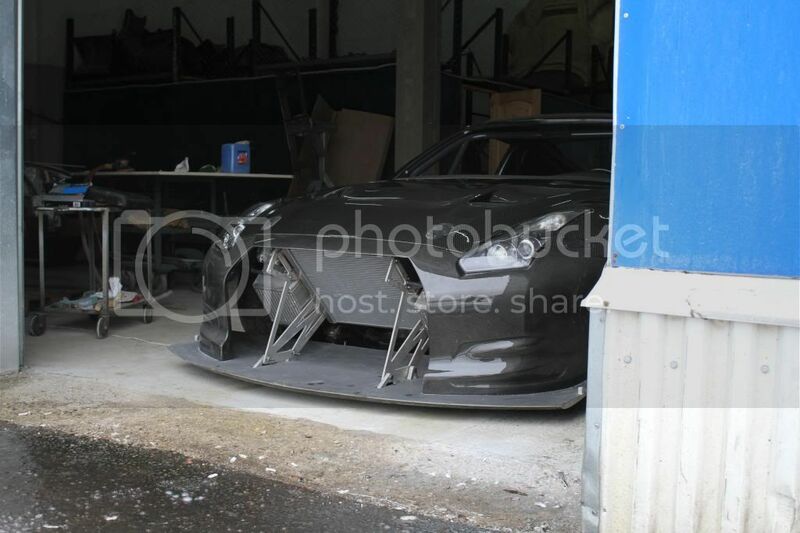 Major effort went into trying to generate sufficient downforce on front axle. This led to heavy modifications of chassis/cockpit front corners to allow clear path for flow exiting front diffuser which in turn makes it much more effective. Area behind front wheels is designed around this and also to allow to extract high pressure air developing over front tires - again increasing front downforce. 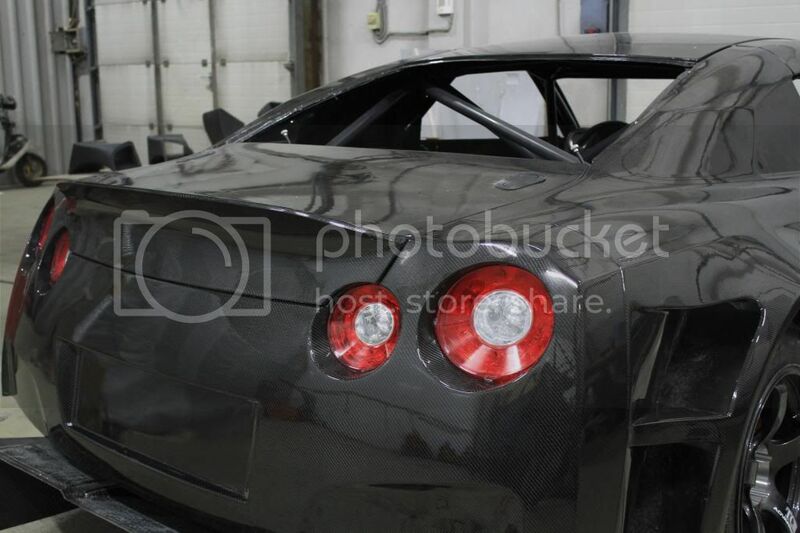 Fully enclosed flat bottom (carbon fiber/sandwich construction) and rear tunnels/diffuser (again carbon fiber/sandwich) as large as standard rear subframe/suspension would allow to package. Two elements rear wing is placed significantly aft the rear edge (not allowed in FIA GT1/GT3) of the trunk - this way it will "drive" the underbody tunnels preventing flow separation and vastly increasing their effectiveness. 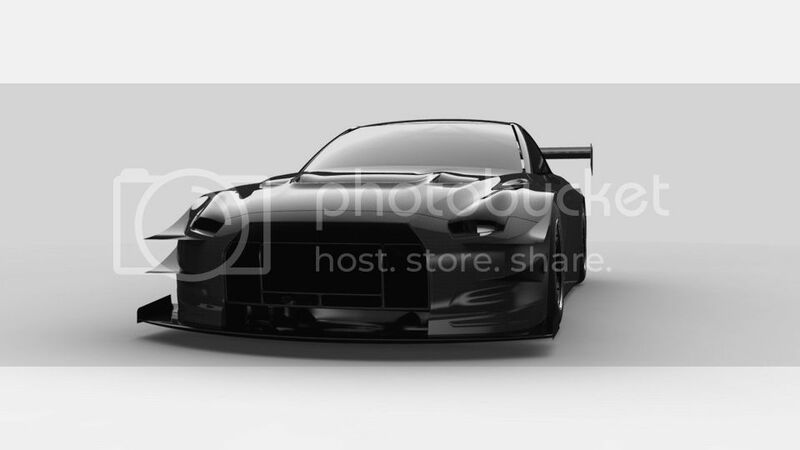 Aero was designed using CFD (CFX and Fluent) and in the March we plan to get the car in wind tunnel to fine tune the parts, develop aero maps, fine tune rear wing location for best possible interaction with underbody tunnels, test several designs of front dive planes (canards as the are commonly called in car enthusiast/tuner forums) etc. Than straight line testing to see how tunnel data correlates with real life (one has to remember that wind tunnel is still a model but not reality) and fine tune ride heights and final aero mapping (which than would be used in simulations that aid setup work). 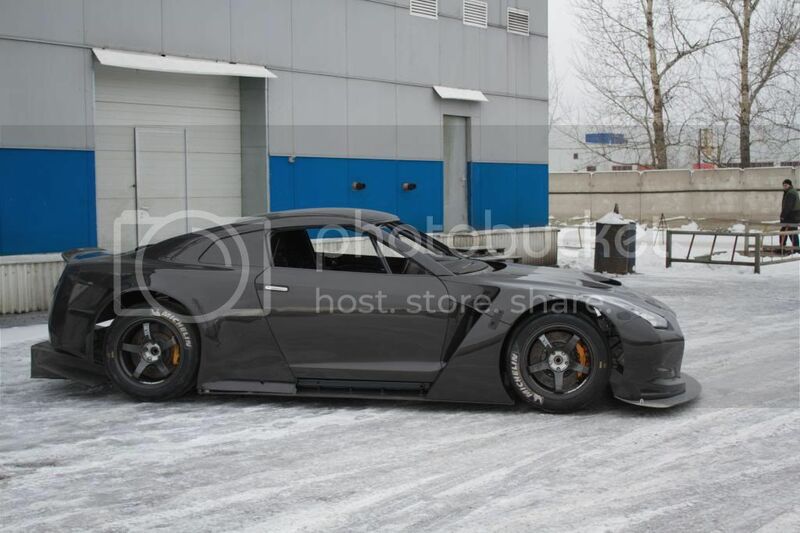 This is the most aggresive looking Gtr I've seen. Keep up the good work, can't wait to see how it's going to look once finished. Adamantium is apparently poisonous to Wolverine - who knew? Not got time now but I will read all of thus thread and continue to follow it. 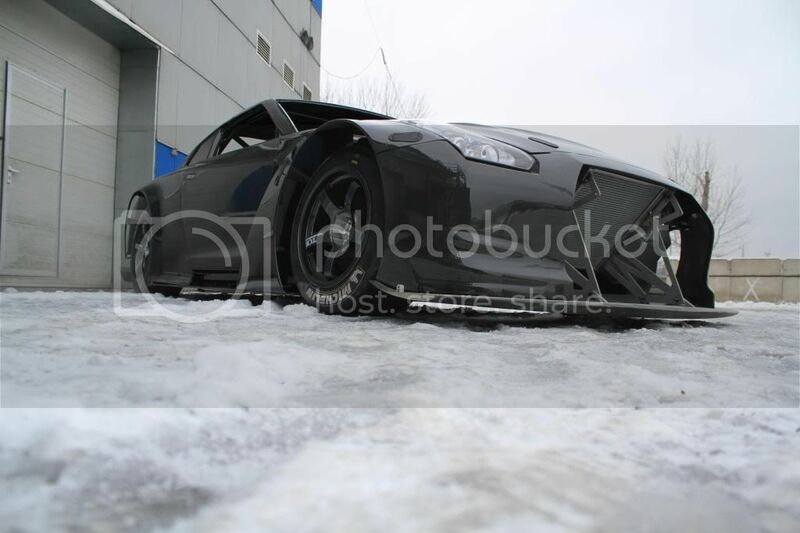 Excellent work, and a truly refreshing take on a GT-R project. Excited to follow this one. 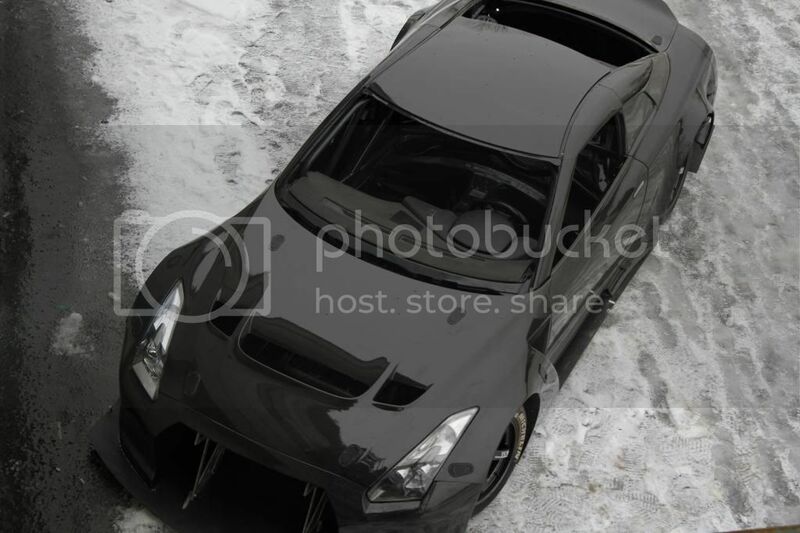 Wosisnim, Kabz r35 Gtr, Kevtga - thank you very much for kind words! Adam, I'm very sorry - I don't know what led me to this mistake. I wanted to edit my posts where I was misspelling but can’t find “edit” button… How is it possible to edit a post? Many thanks for encouraging words. Again, thank you for discovering EFR for me (and others) – I think it will suit this project perfectly. I think that we’ll have to go with torque control/reduction (via ECU) for reliability reasons and also I would want linear power delivery on corner exits. Currently car has HKS GT800 kit (it had it before we started). My little experience with this kit suggests that it’s far from ideal for the track – not easy at all to modulate the throttle. 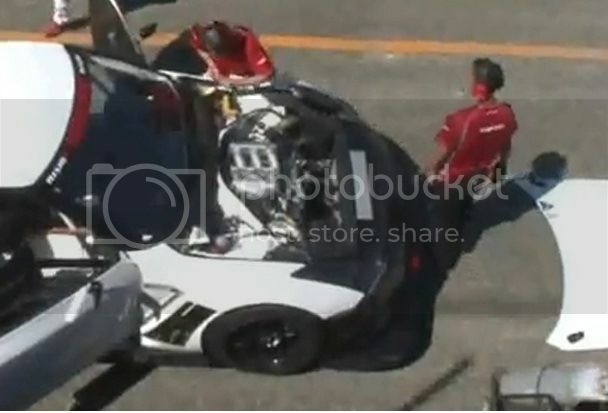 The plus side is that engine already has forged rods and pistons. 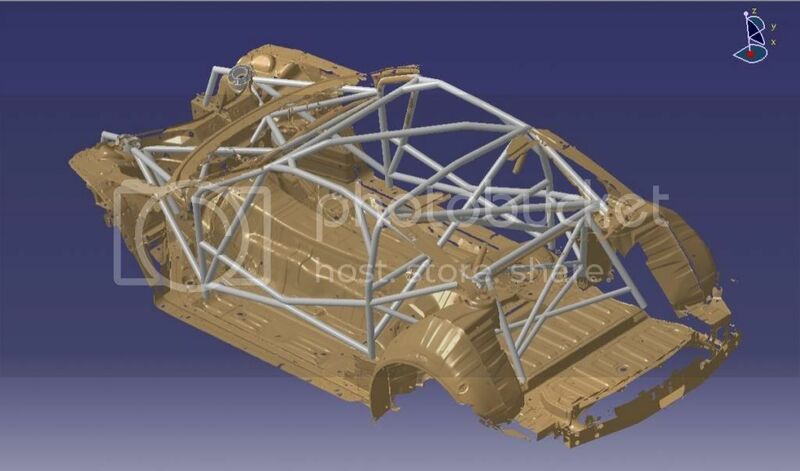 There are many ways and materials used to build chassis and roll cages. I would not say one is wrong and another is right but I was taught to use a particular set of practices that I will strictly follow in each and every project. In parallel with exterior design work was going on chassis side. 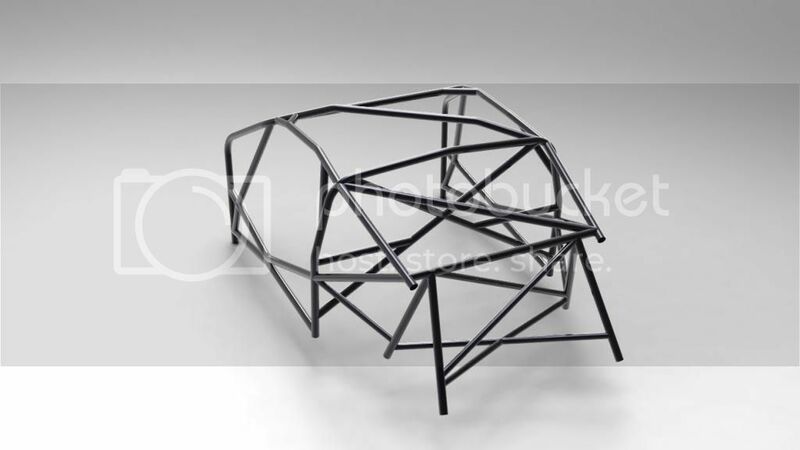 In order to make things faster bent/notched tubes where ordered from Custom cages UK. 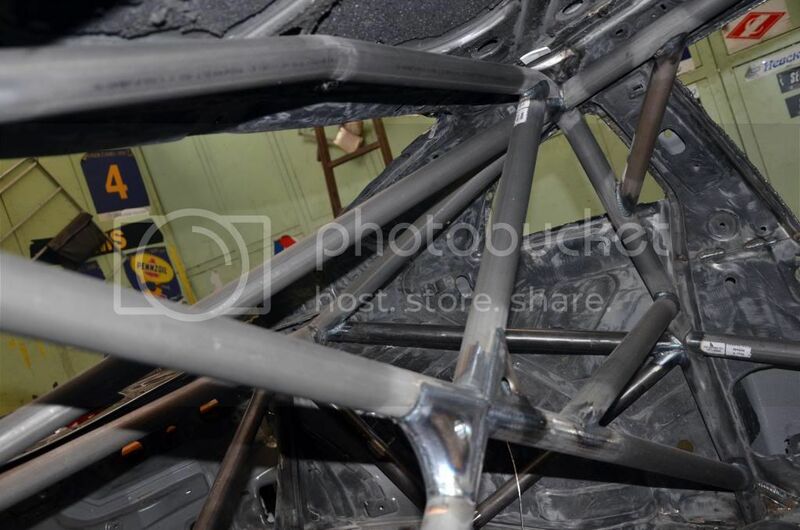 My thoughts was – this is exactly same roll cage that is used in Nismo/JRM FIA GT3 car and it should be here very soon because they have the design ready. I ordered it in BS4 T45 steel - one of preferable type of steel because of its excellent strength properties (stronger than 4130), high elongation at brake (good for absorbing impact energy) and no need for post weld heat stress relief when TIG welding is used. It turned out that I had to wait longer than expected. 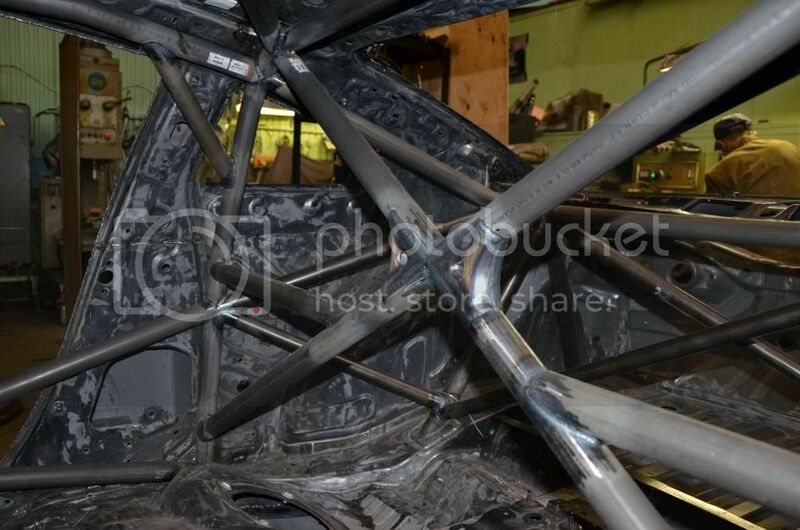 Before welding in the cage one would want to seam weld the chassis. Spot welding used for production vehicles doesn’t provide sufficient integrity of separate stampings used by factory to construct chassis. Properly seam welded chassis would gain from around 80% to 110% in torsional stiffness which is absolutely vital for handling. 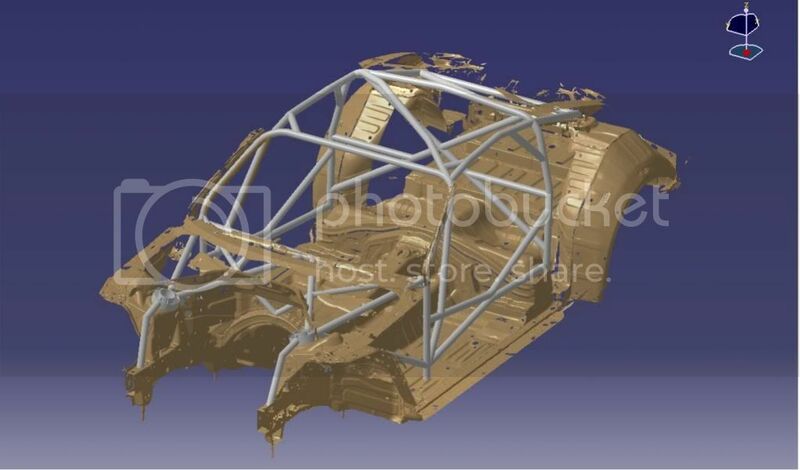 Most highly stressed areas (such as areas around suspension subframes, lower sides seals etc.) are welded with continuous welds and less important areas with “stitch” welding (~25mm weld, 25mm gap, 25mm weld and so on). There’s one very important thing – excessive heat would deteriorate steel properties. Proper technique is to weld a stitch of 10-12mm (short enough so metal is not overheated) than leave a ~ 100mm gap than apply next short weld. 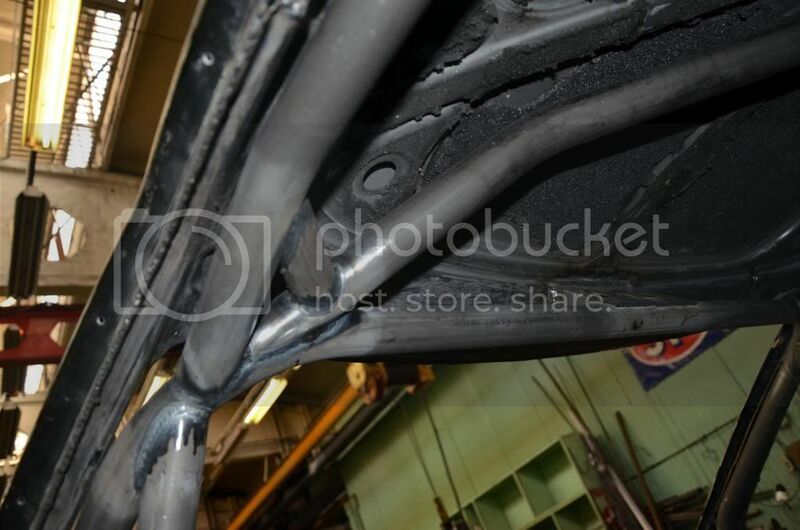 After placing say 10-15 "stitches" with large gaps between them on left side welder would move to right side of the car and repeat the process there while left side is cooling. 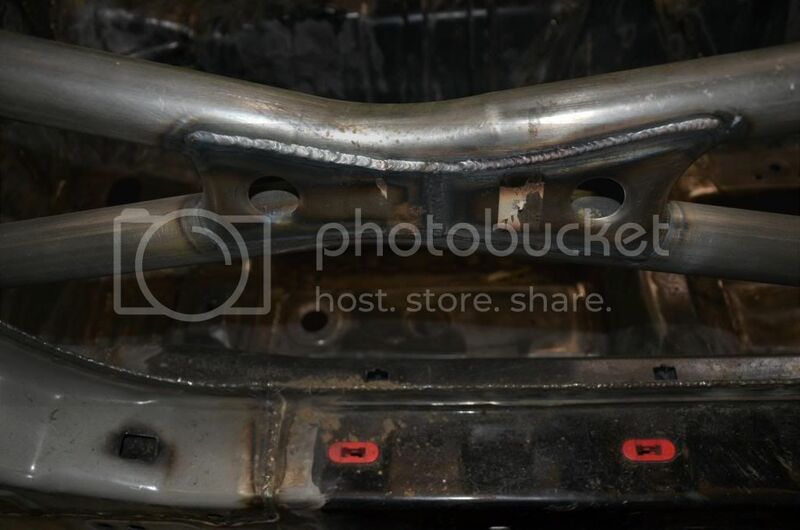 Than get back on left side and place a weld in the middle of each gap and move to the right side and repeat it there and so on until one continuous weld is achieved where needed. 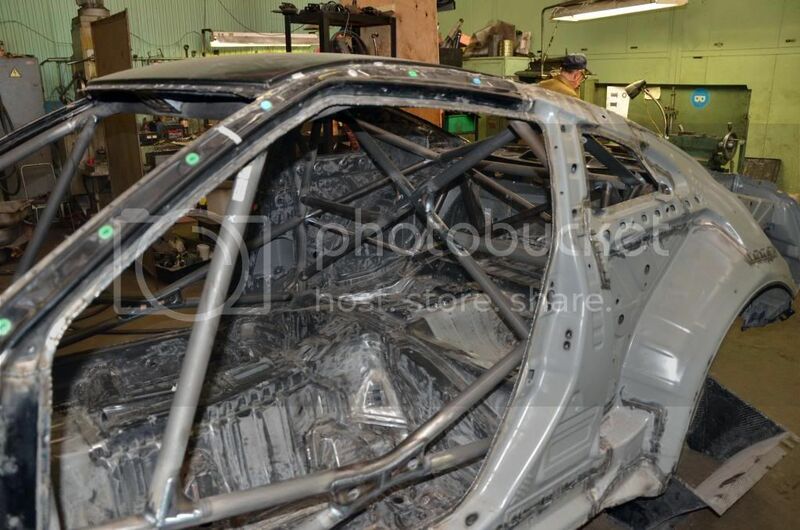 Doing it this way is a lot more labor intensive and time consuming but it pays dividends in terms of end result – strong and stiff chassis which could be used as a base to build a proper race car. Seam welding was done and tubes finally arrived. 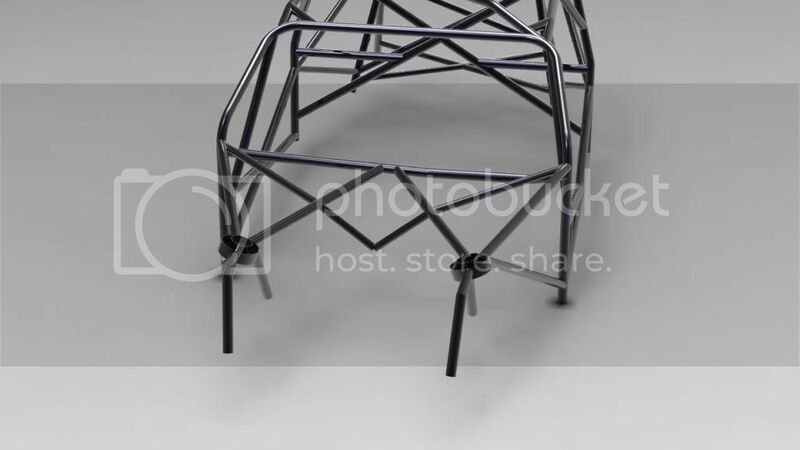 I made a 3D model of Custom cages roll cage to integrate it in standard chassis 3d scan and than analyze it using FEA and some common sense. 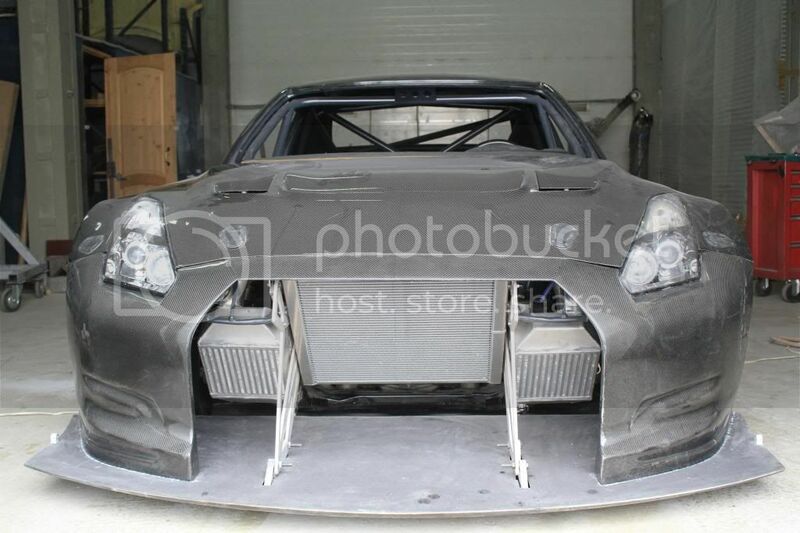 Regarding front part of chassis – here's a couple of screenshots taken from video of JRM testing GTR GT3 in spring 2013. 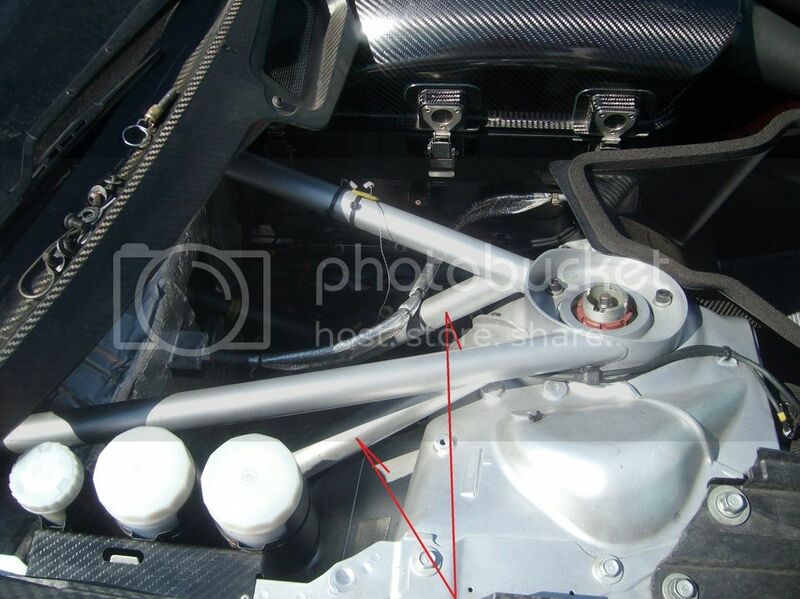 There we can see front upper damper mounts stiffly tied to mid part of chassis (Red arrows). Four tubes form 4 triangles that effectively resist deflections in vertical and lateral directions. 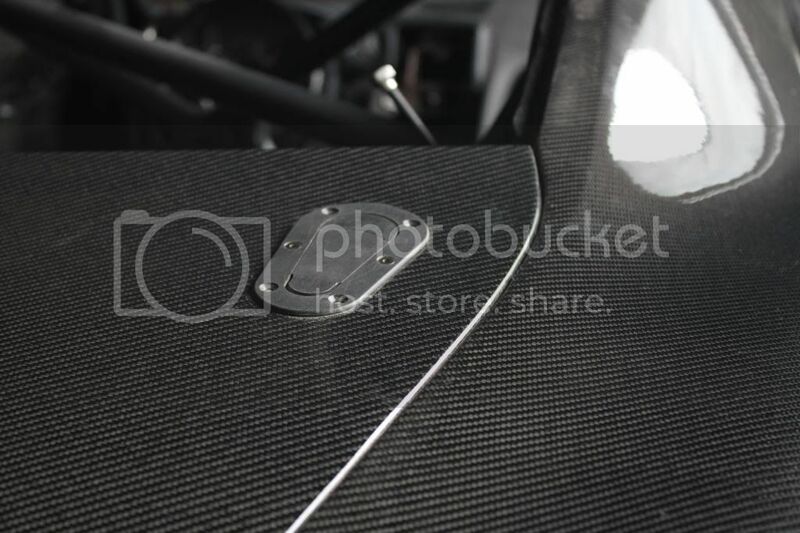 Similar solutions are used in Georg Plaza BMW 134 Judd, Australian V8 supercars etc. 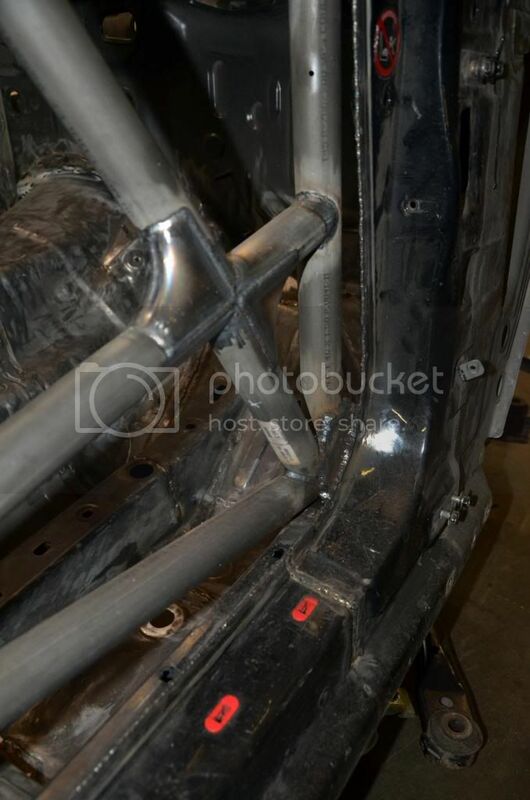 Than added rear part that stiffly tied rear dampers and subframe mounting points with rest of the roll cage and main standard chassis beams/members. 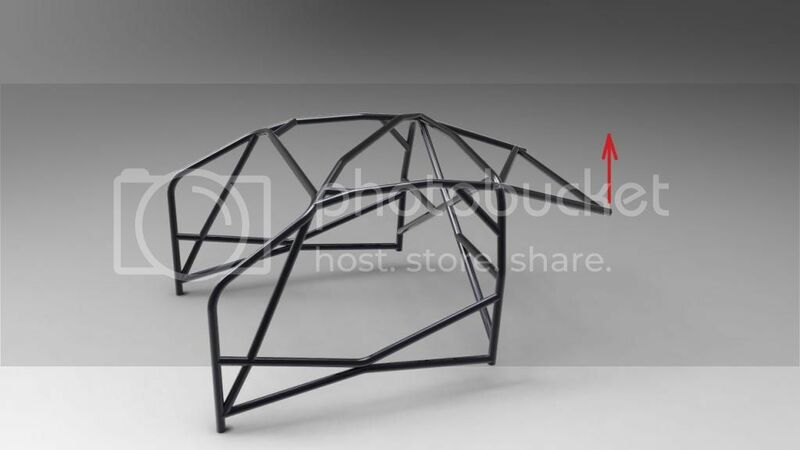 As a result we have a well triangulated tubular space frame integrated into seam welded factory chassis. This renders a lot of chassis parts useless and adding nothing but weight and it allowed to plan some careful but extensive cutting and saving weight as a result. Every tube connection/node was sanded to clean metal, etched and every weld was made with meticulous attention to every minor detail. Back on topic, this looks like an amazing build and could shape up to be one of my favourite threads on here! Awesome project guys, love the attention to detail. Stunning stuff, will follow this thread with great interest, it's great to see such a technical engineering driven build. dannyrydzek is looking for mods to do. That is the devil in car form. Time came to paint the chassis. There was lots of cutting of excess metal before that but I can’t find images that show the process. 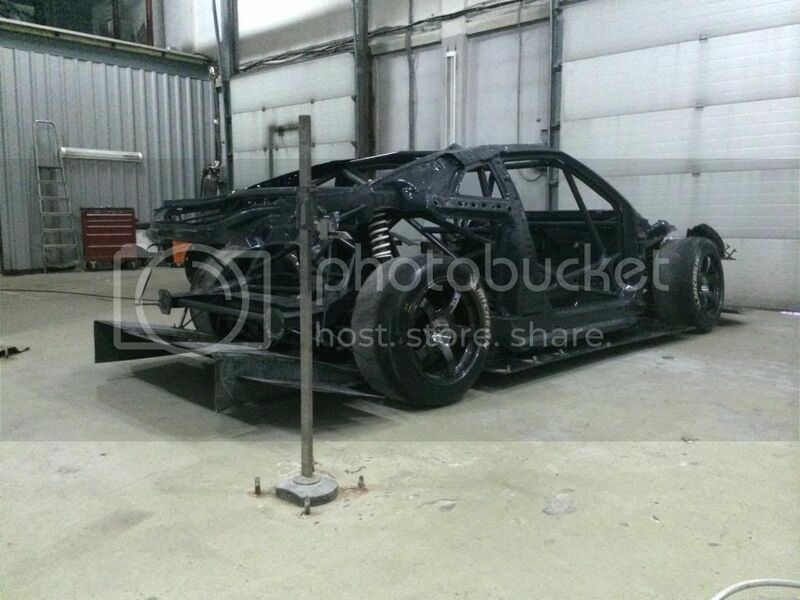 Here’s painted chassis assembled with subframes, suspension, flat floor and front/rear diffusers. This is going to be a monster and I cant wait to see it finished! What a project. Cars owned: Genuine HS30-H x 2, HLS30, Replica PS30-SB project, genuine KPGC10. DON'T write ( or say! ) 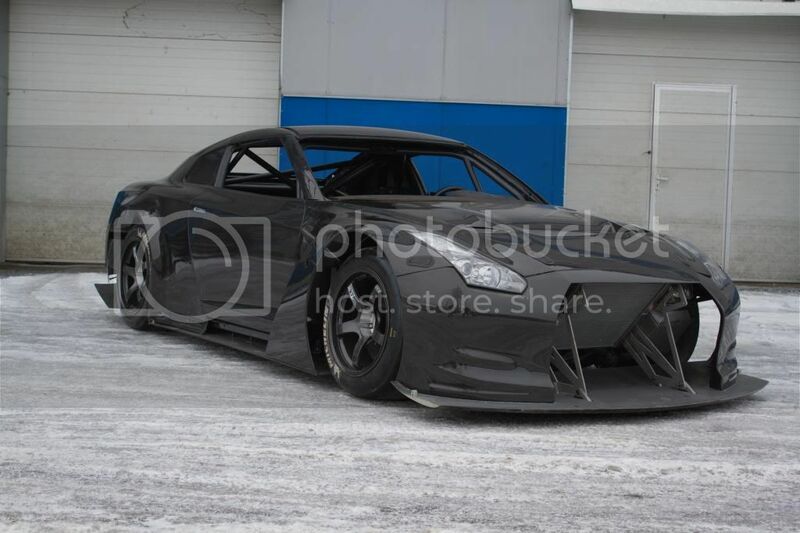 "GTR35". Like "GTR32", "GTR33" and "GTR34" it's just.... wrong.